Here you could find reliable cleaners and trustworthy partners for your home. Cleaning your carpets is a very important cleaning task, which should be done regularly, because otherwise dirty carpets can cause some health problems. Carpets tend to accumulate lots of dust, dirty particles, bacteria and different microorganisms that can have a negative effect on your health. Bacteria are the most common cause for health problems, but keep in your mind that there is a lot of bacteria on your carpets’ surface. They can cause health issues from salmonella, to Kawasaki syndrome, which we are sure you don’t want to deal with. Athlete’s foot is another health problem, caused by not cleaned carpets. Bacteria and fungi are common invaders of carpet surfaces, so you better not risk getting itchy feet, just because you don’t have the time to clean your carpets. Respiratory problems, such as asthma, rashes, eye irritations are also possible if your carpets are dirty. Built-up bacteria and dust mites can be the guilty ones for these problems. If you want to keep your carpets clean and bacteria-free, you should apply some basic cleaning rules. The first thing you need to do is to regularly vacuum your carpets. While vacuuming is not the best way to get rid of these invaders, it is one very good way to take them to the minimum. Doing it at least once a week can prevent some of these health problems, however, if some carpets or rugs receive high traffic daily, should be vacuumed on a daily basis and others at least once a week. Keeping your carpets clean is not just a myth, because health problems are real and the carpets can absolutely be the reason, however, vacuuming can never deeply clean a carpet. For the thorough cleaning of any type of carpet, you should trust a professional cleaning agency to deal with it. Whether your carpet is in the high-traffic areas or not, it should be definitely professionally cleaned. In the first case – at least twice a year and in the second case you can have a carpet cleaning service delivered once every year or two. If you want to have beautiful carpeting and be healthy enough to gasp at it, you should seriously think about its cleaning. Our modern methods and techniques for cleaning carpets are developed to be suitable for any type of carpets, but especially harmless to your own health. Not only we can provide you with the highest quality carpet cleaning, but we can make sure your health remains intact in the process and after! We can definitely make sure dirty particles, bacteria, dust and other microorganisms are gone for good from your carpets, thanks to our professional chemicals-free and nature-friendly cleaning solutions. These, combined with our specialised up-to-date machines and professional tools, are the best weapons against every enemy on your carpets’ surfaces. Thanks to our steam and dry cleaning we are able to extract the dirt from your carpets, prevent mold and mildew, and as a final step we apply a protective spray layer and we deodorise the cleaned areas. If you want to make sure your carpets are thoroughly cleaned, you should rely on our professional carpet cleaning service! It is available every day of the week on more than tempting prices! We are sure you will love the results and we guarantee you that they will last longer than you think! If you book the carpet cleaning service with us, you should forget about bacteria and dust mites and walk safely on your perfectly clean and fresh smelling carpets! Nowadays people often order food or rely on ready-to-cook food, which not that are bad choices, depending on their differently busy schedules, but are not the best. The truth is that lots of people still keep preparing their own food at home and have no troubles with cooking, which in fact is definitely the better and healthier choice. If you are one of those who prefer homemade food, then you definitely know the struggle of cleaning your appliances. We are not talking about toasters and refrigerators here, we are all about the oven. The oven is probably the most commonly used kitchen appliance and hundreds of pounds of food go in there all the time. If you cook at home, you surely know how dirty the oven can get. All that grease built-up, the oily residue, dirt on the interior walls and on the hob… facts that make you cringe. Well, you cannot allow yourself to cook in a dirty oven. Cleaning it must be your monthly activity, at least. You should make sure the food you cook in that oven is safe for you to eat it, because otherwise it can cause health issues. Even though there are small risks of having an oven and preparing your food in it, this remains the best way to get a healthy dinner, which you know what contains. 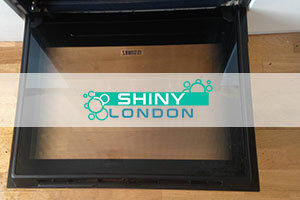 What is included in our oven cleaning service? We are aware of how much dirty an oven can get and this is the exact reason why we have an offer of professional oven cleaning for you! On the first place, we want to tell you that we don’t use chemicals-based cleaning products, simply because we don’t have any – all of our products are completely free of chemicals and toxins and are nature-friendly, therefore will not have any harmful residue and will not cause any problems to your health. What our service includes are thorough and complete cleaning procedures of the inside and outside parts of your oven. Whether your oven is double or single, we will clean it perfectly for this amazingly low and affordable price! We can, and will, clean the fan and the hob of your oven, as they might be dirty as well. It doesn’t matter which cleaner of our professional family we will send, because all of them are fully aware of the cleaning procedures of the oven cleaning and are more than attentive in their work! We will gladly welcome you in the family of our satisfied customers. We must add that the majority of them book us for various cleaning services, but the oven cleaning is definitely wanted! The professional oven cleaning is available every day of the week and you can contact us to book it anytime you want! 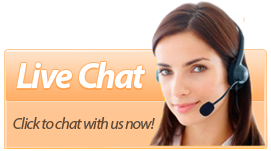 Our customer support team will gladly help you with the booking and answer any questions of yours about the service! We can definitely make sure that your oven is thoroughly cleaned and there is no sign of any bacteria or germs. We understand the importance of healthy food prepared at home and we want to help you with the cleaning of your oven. You can book our oven cleaning service whenever you want and we will make sure there are no harmful organisms inside and outside its surface! The answer to your clean and ready-to-be-used oven is our professional oven cleaning service! You shouldn’t hesitate much, but book it right away! Cook healthy and safely with our help! Regularly cleaning your home environment is a must-do activity. You should keep in mind that not cleaning can result in health issues. Lots of bacteria and germs can accumulate even in the smallest areas, like taps, light switches and handles, so you should make sure everything is regularly and thoroughly cleaned. If bacteria from the surfaces at your home end up on your skin, in your eyes or in your respiratory system, the results can be asthma, different diseases, breathing problems and many others. You risk your own health if your home or even office areas are not properly cleaned. The kitchen, surprisingly, can be one of the dirtiest rooms at your house. Food residue is all over the surfaces, not only in the fridge, but on the countertops. The appliances are prone to building-up dirt and grease, which can affect the quality of your home-prepared food and can result in health problems. Lots of people clean on their own, however, also lots of them don’t pay attention to the products and tools they use. For example, vacuums release some amount of dust, allergies and bacteria into the air, especially older ones. Another cleaning “helper” might not be helping you at all – the cleaning products. The majority of these are filled with poisonous chemicals that can and will cause irritation to the skin or more severe problems if not used properly. For your own safety, and if you prefer cleaning your own home by yourself, you must avoid chemicals-based cleaning solutions. One can definitely find the best cleaning tools and products on the market and perform the cleaning activities at home, however, sometimes it’s just better to ask for some help. Why booking professional deep cleaning service? One of the most secure ways to make sure your home areas are completely clean and disinfected is to book a professional deep cleaning service. Nowadays, the market pffers lots of cleaning agencies, which makes it hard to choose, even if you decided to book any type of cleaning service. We are well aware of the vigorous competition, however, we are second to none when it comes to delivering the highest quality of any cleaning service! Professional cleaners like us, are experienced in cleaning various types of dirt and grime. We also use only environmentally-friendly and chemicals-free cleaning products, which will in no way harm your health or cause you any problems and will not damage the condition of your interior. The professional deep cleaning service that we offer is performed by experienced and knowledgeable cleaners with great attention to the smallest details. The equipment they use is only beneficial to your interior and most importantly – to your own health. With our deep cleaning service, you can make sure your home is perfectly cleaned from the bottom to the top and the results will not only surprise you positively, but last longer than you think! Scrubbing and disinfecting tiles on the walls and floor. We find important to tell you, in case you didn’t know, that handles, light switches, taps, remote controls and similar parts of your home are prone to accumulating the highest amount of bacteria and germs. This is precisely why we have included the cleaning of these parts if our professional deep cleaning service. It is important to understand that we are here to be useful and helpful to you. We want to have a society living in freshly-cleaned and smelling-good homes, which are bacteria-and chemicals-free. All of our cleaning methods and techniques are modern and suitable for every different type of surface out there. You should trust a professional like us with the cleaning procedures included in the deep cleaning service of ours, and book the service right away. We will definitely make sure your home is free of every little microorganism, potentially harmful to your health. Why you need to hire a professional for the end of tenancy cleaning? For many years now we’ve been cleaning lots of rented properties, just right before the tenants leave and we’ve always been more than good at it! It is important for you to first understand the difference between the professionally delivered service and your own cleaning procedures. You might be the best cleaner in the world, but what would you do if time pressures you and you couldn’t get the cleaning done in time? Then, there are the other types of people – those who don’t like cleaning tasks and are not very good at doing them. For these situations, it’s better to trust a professional cleaning company, just like us, because an experienced in the cleaning area eye, can notice something you might miss, and will be more concentrated in the process itself. We are experienced in the different cleaning procedures included in the end of tenancy cleaning and we can make sure your rented property is thoroughly and perfectly cleaned, enough to satisfy your landlord’s expectations and inspection. When you have millions of other things to do while moving out, it is definitely better to rely on a professional end of tenancy cleaning. We will gladly send a professional and experienced cleaning team to deal with the process instead of you! The best part is that we guarantee the full refund of your deposit money and the results will be definitely impressive and long-lasting! What cleaning procedures are included in the end of tenancy cleaning that we offer? Our end of tenancy cleaning includes thorough cleaning procedures, which, with the help of specialised equipment and chemicals-free cleaning products, will be performed excellently by our experienced cleaners! The equipment used is also included in the price. The service includes thorough and deep cleaning of every part of your rented property. We will pay attention to every dusty shelf, dirty carpet, smudged window and mirror – basically, every single part of the interior will be thoroughly cleaned and our professional cleaning team will stay as long as needed, in order to achieve the highest quality of the end of tenancy cleaning service! The methods and techniques that we’ve adopted are in no way harmful to the interior of the property, on the contrary, they can only bring benefits to preserving its condition in time! Why landlord inspection is important? The inspection of the property by your landlord before and after you move out is going to determine whether you will receive the full refund of your deposit money, or not. You have probably noticed the condition of the property when you moved in so you better keep in mind that it should be the same, or better, when you move out. Landlords have certain expectations and requirements, which is not bad, as long as they are part of your mutual agreement. If your landlord does an inspection of the property and is not satisfied with its level of cleanness, they are not the ones that can decide whether you will get the refund back or not. A neutral agent can be invited to do an inspection and check the before (documented) and after results of the property, to determine whether the deposit money will be restored. It is important to remember that your landlord can’t make you contact a preferred by them cleaning agency or require of you to book a professional end of tenancy cleaning even after you’ve cleaned thoroughly yourself. The inspection of your landlord is important for you if you want to get the full refund of your deposit money and end up on good terms with them, however, it is not necessary if you cannot afford an end of tenancy cleaning service, or you simply don’t care about the consequences of not cleaning the property. You should keep in mind that most landlords require this type of moving out cleaning and will most certainly expect it from you too. Here you could check our detailed checklist for our special end of tenancy cleaning. clean all small and major appliances like ovens, microwaves, refrigerators, washing machines, etc. Our company keeps the right to update and change its terms and conditions. These changes are always posted on our website. If you are interested in the information provided below, please check our terms and conditions regularly. This will ensure that you are familiar with our terms and conditions and that you are informed about any changes that may have occurred. The Customer must provide electricity and running hot water available in the property. Failure to provide these is subject to a £60 (Pound Sterling) non­refundable fee. The Customers are responsible for providing access to their property at the scheduled time. If keys are provided our cleaning experts should be able to open and close all locks without any special efforts or skills. Failure to provide access to the property is subject to a £60 (Pound Sterling) non-refundable fee. 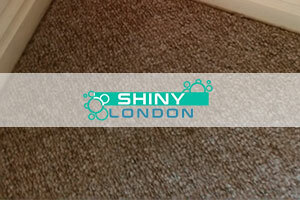 We at Shiny London ensures its clients that any appointment made with us is by no means mandatory. This means that the Customer retains their righto to cancel their appointment with us. However, we have several conditions concerned with cancellation. Shiny London asks the Customer to cancel our appointment ahead of time. In essence, you should cancel our appointment at least 24 hours prior to our coming. Failing to cancel the appointment on time will result in a non-refundable cancellation fee amounting to £20 (Pound Sterling). We assert our right to refuse any cleaning job if the conditions within the premise threaten the health, well-being, and convenience of our personnel. What is more, we retain the right to reschedule appointments when certain inconvenient circumstances have arisen and we find ourselves unable to keep our promise, which is to arrive on time. 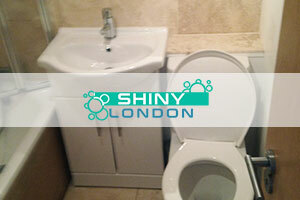 Shiny London aims to make the Customer happy and improve the services our cleaning company offers. However, when making claims our clients should voice their dissatisfaction while our personnel is still within the premise. In other words, every claim about a badly performed service will not be taken into consideration once our cleaning team has left the property. The same applies for refund claims as well. 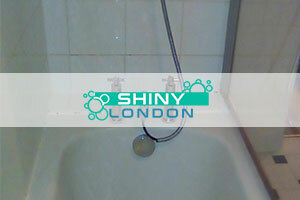 Shiny London expects the Customer to be present and inspect the property once our technicians have completed the cleaning session. Naturally, if the Customer points that the service has been performed badly, Shiny London will arrange a re-cleaning session right away. Nevertheless, Shiny London greatly values reviews and feedback, as the way we perform our services is greatly influenced by clients’ recommendations and suggestions. That is the reason why any complaints received in a written form during the first 24 hours after the completion of the service are subjected to a detailed investigation. We do understand that accidents may occur as a result of which items may be broken. Naturally, our company is ready to support the Customer. However, we must be informed that items have been damaged while our technician/team of technicians is/are still within the premise. Once our personnel have left, we will not support the Customer. We strongly advise the Customer to store away irreplaceable items. We at Shiny London assert the right to require an entry view of the property 24 hours prior to our appointment. We shall not be held responsible for any damage caused as a result of the Customer placing furniture on a carpet which has not completely dried. Our professional cleaning company shall not be liable for the shrinkage of carpets as a result of poor fitting as well. We are not responsible for any existing damage within the property of the Customer. Existing damage may be in the form of old stains/burns/spillages etc. and cannot be cleaned/removed completely by the cleaning operatives using the industry standard cleaning methods. We will deliver our high standard cleaning solution to your property and appliances. However, if appliances have not been cleaned since they were purchased, we are not to be held responsible for any dirt, scratches and stains that are not subject to removal even by using industry’s standard chemical cleaning solutions. 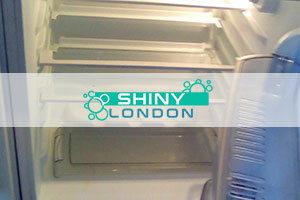 As we at Shiny London will pay special attention to your kitchen appliances, we require that the Client defrosts freezers and refrigerators at least 24 hours prior to our appointment. If our requirement has not been honoured, we will find ourselves unable to deliver the high quality professional cleaning solution for which we have been chosen. Please note that our Basic or Professional Gardening services do not include waste collection. We cannot guarantee our End of Tenancy Cleaning service when furniture or people are still present in the property at the time of the cleaning. That is why we demand that the Customer moves out all of their possessions prior to our appointment – both for their and for our convenience. Our End of Tenancy Cleaning Service is guaranteed. The company provides a 48 hour guarantee after completion of the service. If after the completion of the cleaning session our performance is a subject of dissatisfaction, we will apply our guarantee. This means that Shiny London will send back a team of professionals to perform a re-cleaning session within the next 48 hours. Please pay attention to the fact that the Customer must be present when the re-cleaning session is over and inspect the property. If our cleaning team has not been informed that a re-cleaning session is needed again, we will not re-apply the guarantee. What is more, Shiny London gives no refunds. Again, please note that after the first re-cleaning session, it is a due to the Customer’s responsibility to inspect and confirm satisfaction. It is essential that the Customer voices their dissatisfaction while our cleaning team is still within the property. Shiny London accepts cash, cheque and bank transfer payments. However, we prefer to be paid in cash. Should the Customer decide to pay in cash, the payment is to be conducted upon completion of the service. After inspecting the way the cleaning session has been delivered and confirming that they are satisfied, the Customer is give the money to our technicians. What is more, should the payment be organised in cash, it ought to be completed while the cleaner / cleaning team is still within Customer’s property. Should the Customer prefer to pay us via a bank transfer or a cheque, Shiny London demands that they are paid prior to the cleaning session. We expect the payment to be conducted no later than the day before the cleaning session. This is to ensure and confirm payment validation. Please note that Shiny London will acquire personal information about the Customer so that we can complete the cleaning session accordingly. For example, we will need your email address so that we can send a confirmation letter for your services. However, the Customer’s personal information will not be shared with no advertising company of any kind. Shiny London’s priority is to protect the Customer’s personal data. Shiny London will never share, distribute or lease our customers’ personal details with second or third parties. Neither will we provide personal information for purposes of the direct marketing. When giving us their personal data, the Customer must give us correct information. Should the Customer find the information they have given us incomplete or incorrect, they ought to inform our customer support team as soon as possible in order ensure the effective communication between the two parties. 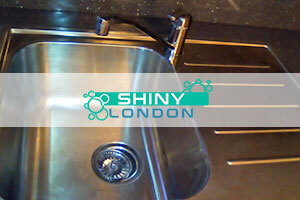 Shiny London provides Professional Cleaning Services in non-commercial and commercial properties. The prices posted in our website are quoted prices. Considering the difference and specific details in relation to every cleaning job we are booked to perform, we will be able to provide the correct price for our services upon your booking our services. Pay attention to the fact that the prices for our non-commercial prices are not the same as those for our commercial cleaning services. When estimating the cost for a non-commercial cleaning service, we take average room sizes into consideration. What is more, Shiny London’s prices are always all tax-included. Once they have learned the retail price for the service, the Customer will not be subjected to any additional surcharges. Shiny London asserts the right to amend prices if the exact size of the property and the conditions differ from the original data provided. Gardening Services have a minimum time duration of 3 hours and final price of £45 (Pound Sterling) per session. All discounts are valid for orders above the minimum charge. Promotions and discounts are not available for hourly based services. However, should the Customer want to meet their cleaning specialist, they ought to pay the amount of £10 (Pound Sterling) which includes traveling and time expenses on behalf of our technician. We are able to provide cleaning materials and detergents upon request for a small additional fee. This is valid only for One off and Regular Cleaning jobs. Within our Professional Carpet and End of Tenancy Cleaning Services, the Customer always receives a final price. We keep our Regular Cleaning Sessions at the same day and time weekly or fortnightly as has been arranged with the Customer prior to the first cleaning session. Our company is accustomed to having our revered clients providing their cleaning maids with a spare key. If an accident appears with a cleaner on the job or due to certain non predictable circumstances, the Company will organise a replacement upon request from the Customer. Cancelling a regular cleaning session is possible only when a notice has been received at least a 24 hours prior to the cleaning appointment. Failing to contact us will result in a cancellation fee equivalent to the full charge of the service. Within our regular cleaning services, Shiny London offers weekly regular cleanings with a minimum booking time of 2 hours and should you book our fortnightly cleaning sessions, you will be able to book us for 3 hours or more. The Customer is responsible for providing access to the property at the scheduled time. It’s hard to be smart and beautiful at the same time but we’re bearing that burden on our shoulders for six whole years now. How time flies when you are having fun! For us cleaning is the best recreation and we feel blessed for having the opportunity to do what we love the most in life. We feel deeply grateful for our customers who put their trust in our expertise and thus make us feel useful. You push us to constantly build upon our skill set in order to deliver you the one of a kind service you expect. We might be an old hand in the field of cleaning services but we feel young at heart because we have you in our life. Our staff might have an impressive training and an enviable amount of experience to give them confidence in their abilities but it is the friendship of our customers that makes us beautiful. Every time we see the smile of satisfaction on your face, we know we have done our work right and that gives us a rush of new life. And this is the secret of our good looks! At the end, we are mutually beneficial to one another. When you give us the chance to create something beautiful for you, we feel beautiful ourselves in return! 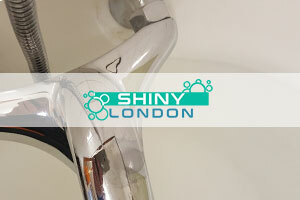 Shiny London | Home Cleaning Services © 2019. All Rights Reserved.